and completed on July 27, 2013 via Skype input from Florida. Translations in French and Arabic are in preparation. Since Prof. Santilli is a well known scientist, and equally well known scientists are expected to view this interview, Prof. Santilli wishes to express first his view in a form as scientifically accurate as possible, and then pass to illustrations that may inevitably imply loss of scientific accuracy. Therefore, an important function of the Interviewer is that of requesting Prof. Santilli, or intervene him/herself, to clarify scientific notions in a language accessible to a general educated audience. These additional clarifications are left to the Interviewer without listing in this thread. The Italian-American scientist Ruggero Maria Santilli was born in the central Apennine mountains of Italy on September 8, 1935; during his Junior High School, he delivered a lecture on Albert Einstein for fellow students as well as for teachers; during his High School, he published his first scientific paper in Italian showing that space is a universal substratum with extremely high density for the characterization and propagation of electromagnetic waves as well as particles, thus resolving the debate on the "ethereal wind" raging at that time; in the 1960s he then obtained the highest possible education in mathematics, physics and chemistry at the University of Turin, Italy; and obtained at a very young age the chair in nuclear physics at the Avogadro Institute in Turin, Italy. In view of the very advanced nature of his Ph. D. studies on events irreversible over time and their treatment via Lie-admissible algebras, thus including the re-entry of spaceships in our atmosphere, Prof. Santilli was invited in 1967 by the University of Miami, Florida to conduct research under NASA support, and he moved to the U.S.A with his family; from 1968 to 1974 he was an Associate Professor of Physics at Boston University under partial support by the U.S. Air Force, for which support he became a U.S. Citizen; from 1974 to 1977 Prof. Santilli was a visiting scientist at MIT; from 1977 to 1982 he was a member of the Department of Mathematics of Harvard University under DOE support; and from 1983 on he has been Professor of Physics and President of the Institute for Basic Research, located from 1983 to 1989 at the Prescott House on Harvard Grounds, and then moved to Palm Harbor, Florida. Prof. Santilli is the author of about 300 post Ph. D. papers in mathematics, physics, chemistry, biology and astrophysics published in refereed journals around the world; he is the author of twenty post Ph. D. monographs in mathematics, physics and chemistry printed by some of the best scientific publishers in the world; he is the editors of various scientific journals; and the organizer with his wife Mrs. Carla Santilli of about 100 international scientific conferences in the Americas, Europe and China. Since his young age, Prof. Santilli has accepted the validity of Einstein's special relativity for the conditions stated by Einstein and experimentally verified, called 'exterior dynamical problems." and referred to point particles and electromagnetic waves propagating in empty space. He has dedicated his research life to the construction and experimental verification of broader mathematics and physical theories for "interior dynamical problems." referred to extended particles and electromagnetic waves propagating within physical media, where special relativity cannot be properly defined due to the lack of inertial reference frames, and cannot be directly verified. Prof. Santilli is the recipient of numerous honors, including scientific prizes from France, Italy, and Nepal; he is the recipient of the highest honor granted by the Republic of San Marino, the title of "Commendatore di Gran Croce dell'Ordine Equestre di Sant'Agata"; he is the recipient of the prestigious Mediterranean Prize also granted to Hilary Clinton, Price Albert of Monaco, France President Nicolas Sarkozy, Juan Carlos King of Spain, international architect Renzo Piano, and other famous people; and he is the recipient of over 100 nominations for the Nobel Prize in Physics and Chemistry. Particularly significant is the motivation of the Mediterranean Prize published in the Italian newspapers indicating that Prof. Santilli is one of few scientists in history who has achieved basic discoveries in mathematics, physics and chemistry. prof. Santilli is the author of numerous patents on novel technologies permitted by his mathematical, physical and chemical formulations of interior dynamical problems. He is also the founder of a number of corporations dealing with advanced technologies, among which we mention the U. S. public companies Magnegas Corporation and Thunder Fusion Corporation. We hope to interview Prof. Santilli at other times on topics such as: his spacetime locomotion; his ongoing research on superluminal communications necessary for interstellar contacts; his new chemical species of magnecules; his nuclear fusions without radiations; the experimental evidence of the inconsistencies of the claims at CERN; the ongoing obscurantism in antimatter and the problem of detecting antimatter asteroids; and other intriguing topics. In this interview, Prof. Santilli will address a topic of great world wide interest, the ongoing scientific obscurantism in cosmology since current cosmological conjectures implying a return to the Middle Ages with Earth at the center of the universe, and the only way to resolve the obscurantism, via a new scientific renaissance. Q. Prof. Santilli, tell us what you want to indicate during this interview. A. Following the beautiful TV series of Start Trek that influenced me greatly, the NASA planetary missions, millions of UFO sightings that can only be explained as being due to extraterrestrial visitors, the universe is perhaps the greatest interest of mankind today. In this interview, I would like to indicate to listeners that cosmology is currently afflicted by one of the biggest scientific obscurantism in history imposed by organized interests on Einstein, an obscurantism fully comparable to that imposed by the Vatican during Galileo's time, because the current obscurantism also implies a necessary return to the Middle Ages with Earth at the center of the universe. By using a language as understandable to listeners as possible, I would like to present a brief historical account; identify the intrinsic inconsistencies of the chain of current cosmological conjectures; review the conceptual and experimental evidence dismissing the expansion of the universe and all related conjectures; show the far reaching technological implications permitted by the new vistas in cosmology; and provide documented evidence on the ongoing organized obscurantism in cosmology by bringing in particular to the attention of the taxpayers the abuse of billions of dollars we are currently suffering on hyperbolic cosmological conjectures despite their inconsistencies and their experimental disproof. Picture for the interviewer to explain the equivalent of the cosmological redshift (below) and the redshift of the Sun from the Zenith to the horizon (above). Q. Prof. Santilli, please explain what is the expansion of the universe. A. It is a conjecture according to which all galaxies throughout the universe are believed to be moving away from us. What is generally not stated even at the highest scientific levels, is that such a conjecture cannot be experimentally verified on Earth, that the galaxies are believed to move away from us in all radial directions from Earth, and that, as we shall see better later on, by its very conception the expansion of the universe implies its origination from Earth, thus implying the return to the Middle Ages with Earth at the center of the universe. Q. Please indicate the historical birth of the conjecture that the universe is expanding. Picture for the interviewer to explain that, to be compatible with experimental data, the expansion of the universe must be the same for all possible radial directions from Earth. Q. Was there any other interpretation of the cosmological redshift? A. Yes. Immediately following the advent of Hubble's discovery, the Swiss astrophysicist Fritz Zwicky proposed the explanation of the cosmological redshift via a theory called "Tired Light" according to which light loses energy during its long travel to reach us due to scattering with the intergalactic gases filling up the universe. Q. Why so plausible a hypothesis was not adopted? A. In my view and documentation, the lack of systematic study of Zwicky's hypothesis is the beginning of the obscurantism afflicting cosmology for about one century because the expansion of the universe was imposed via half-truths without the disclosure of the real aims. Zwicky's hypothesis was dismissed on grounds that scattering of light through intergalactic media would prevent our direct view of galaxies. This is a half-truth because the loss of energy by light to intergalactic media can be due to mechanisms other than scattering. For instance, we all know that our atmosphere warms up when traversed by Sunlight evidently due to energy lost via scattering. Yet we do see the Sun despite the loss of energy for scattering. Also, Zwicky hypothesis could be experimentally verified or dismissed on Earth, while the preferred conjecture of the expansion of the universe cannot. Therefore, the suppression of due scientific process on Zwicky's Tired Light is a dark episode of the history of science because it has been intentionally orchestrated, executed and maintained, by now, for about one century. Q. What is the political reason for suppressing Zwicky's Tired Light? A. Due scientific process on Zwicky's hypothesis was suppressed because it constitutes a brutal violation of Einstein's special relativity. Light is the central invariant of special relativity and, therefore, any change of any characteristics of light implies that it is no longer the universal invariant of nature. The denunciation of the manipulation of scientific knowledge by organized interests on Einstein is the primary reason I have accepted this interview. What taxpayers are told is that the expansion of the universe is due the Doppler law, but what they are not told is that the Doppler law is a central pillar of Einstein special relativity and, therefore, any deviation from the Doppler's law implies the violation of Einstein's special relativity. I have no words for suggesting to listeners and fellow taxpayers to keep in mind the fact that the entire current chain of far reaching cosmological conjectures is aimed at imposing the validity of Einstein's special relativity throughout the universe and, in the event the imposition is denied, that is the most important consequence. I have accepted this invitation also to denounce the orchestrated misinformation by Wikipedia which is notoriously under a totalitarian control by organized interests on Einstein. As everybody can see, Zwicky's hypothesis of Tired light is intentionally disqualified with dubbing such as "fringe" science and the like for the unspoken objective of supporting Einstein's theories, while carefully avoiding the presentation of serious scientific issues, such as the alternatives under which the hypothesis can be experimentally verified or dismissed. Q. Prof. Santilli, are you alone in rejecting the expansion of the universe? Q. No, by no means. Edwin Hubble, Fritz Zwicky, the French Nobel laureate Louis de Broglie, the Italian Nobel laureate Enrico Fermi and other founders of contemporary science died without believing in the expansion of the universe because they could not accept the return of cosmology to Galileo's time with Earth at the center of the universe. Besides our group of scientists, now including hundreds of mathematicians, theoreticians and experimentalists conducting yearly schools on the lack of expansion of the universe, a recent poll conducted by your Agency has indicated that the majority of physicists do not accept the expansion of the universe for various reasons, and that they keep silent because the organized interests on Einstein are very vociferous, as well known. III. INCONSISTENCIES OF CURRENT COSMOLOGICAL CONJECTURES. Q. We are clearly facing a potentially historical moment in cosmology as well as sciences in general. Please identify in more details the reasons for the rejection of the expansion of the universe. A. For this scope, it is essential to take the time and identify the inconsistencies of each and every one of the ongoing far reaching cosmological conjectures, including the expansion of the universe, the acceleration of the expansion, the big bang, the expansion of space itself, dark matter, dark energies and the additional cosmological hyperbolas under consideration by organized interests on Einstein such as the hypothetical, invisible and undetectable neutralino and others. In the event you stop at the inconsistencies of one conjecture of the chain, unethical physicists will claim that they are resolved by the subsequent conjecture, and human knowledge is damaged to serve non-scientific interests. That's all. Q. What is the main objective underlying all these conjectures? A. All these conjectures have been voiced with the intent of, or they de facto imply the imposition of the validity of Einstein theories throughout the universe. This main objective remains carefully undisclosed and it is achieved via a chain of conjectures studiously intended not to be experimentally verified on Earth, thus leaving their acceptance to an collegial support. by organized interests on Einstein. To understand the gravity of the ensuing scientific obscurantism, listeners and fellow taxpayers should know that we are talking about the validity of Einstein's special relativity within a physical media, such as within gases, where said theory cannot be consistently formulated, let alone tested. In fact, special relativity can only be formulated with respect to inertial reference frames, that is, observers that move in empty space at constant speed. Such frames do not exist within physical media due to the resistance thus preventing a serious formulation of special relativity. Additionally, the central pillar of special relativity is the indicated constancy of the speed of light while, by contrast, electromagnetic waves generally have a speed within physical media that varies with the density, thus preventing any possible conception of a serious experimental verification of the constancy of the speed of light in interior conditions. Q. How do supporters of the expansion of the universe bypass these difficulties? A. Via yet another unverifiable conjecture, the reduction to photons of light propagating within physical media, by therefore claiming to maintain special relativity at the level of photons moving in vacuum and scattering among the medium molecules. This is another scientific manipulation confirming what I have stated several times, that the name of Albert Einstein is the most abused and exploited in the history of science. Since Einstein was a great and serious scientist, I intend to defend him from the abuses he has been suffering from unethical physicists. 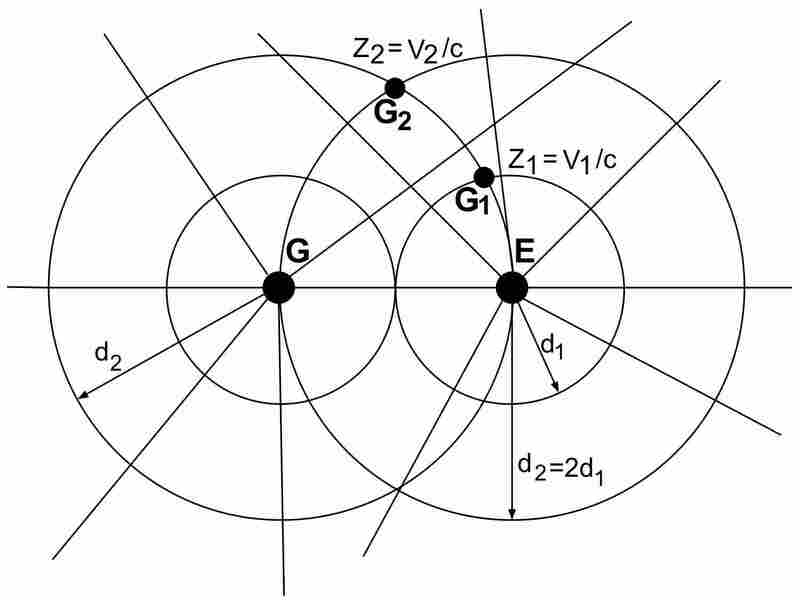 Albert Einstein correctly predicted that the "absorption" of certain (and not all) frequencies of light by matter has to be quantized, that is, occurring in discrete amounts, since atomic electrons can only jump orbits via discrete steps. He worked out the theory of "photons" for these discrete "absorptions," which resulted in being correct, and he justly got the Nobel Prize in physics for the discovery. Einstein success for the "absorption" of light has been exploited by organized interests and applied to the reduction to photons of "all" electromagnetic waves "propagating" within physical media. (5) The reduction of light to photons does not allow the representation of the propagation of a light beam in water along a straight line, because such a representation would require that a very large number of photons must cross a very large number of atoms and nuclei in a straight line without any appreciable scattering which untold belief is the climax of physical absurdity. I could go on and on. The climax of the scientific corruption is reached when experts in the field throw at you the reduction of light to photons as permitted by quantum electrodynamics, since that theory was specifically conceived for empty space while its validity within physical media has been experimentally disproved, as we shall see. The untold reality is that all electromagnetic "waves" are "waves" thus demanding for their very existence to be propagated by a universal substratum called the ether, with speed C = c/n where n is the index of refraction as we learned since high school. This formulation is the only one permitting a scientific representation of all experimental data in the "propagation" of light, including its quantized "absorption." Q. Prof. Santilli, what is the main inconsistency of the expansion of the universe? A. Let us identify first the established experimental evidence, and then analyze the inconsistencies of the conjecture intended for its representation. The established experimental evidence is that of the Hubble laws according to which the cosmological redshift of galactic light is proportional to the distance from Earth as stated by all, plus an additional carefully suppressed property, that the proportionality of the redshift on the distance occurs in all possible "radial" directions from Earth. The interpretation of this experimental evidence via the c the Doppler's motion of galaxies away from us necessary implies the second cosmological conjecture, namely, that the acceleration of the expansion of the universe because the speed of the expansion increases with the increase of the distance. Such an expansion of the universe and related necessary acceleration are inconsistent because two galaxies that are at double distance from Earth must have double speed with respect to Earth, thus having a relative speed, but the same galaxies can be at the same distance from another observer in the universe, in which case the speed of the two galaxies must be the same, thus resulting in a clear inconsistency because the relative speed of the two galaxies with respect to earth cannot be eliminated for another observer. Note that, while the Doppler interpretation is inconsistent, Hubble's law remains fully consistent because dependent on the trajectory of light. Hence, for Hubble's law, two galaxies at double distance from us will have double cosmological redshift, while the same two galaxies can indeed be at the same distance from another observer in which case they have the same cosmological redshift. Hence, the inconsistencies rest in the Doppler interpretation and not in the cosmological redshift. 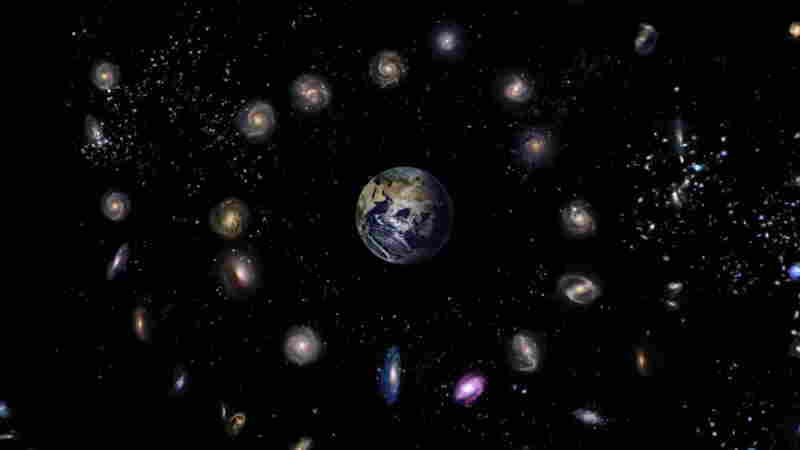 The reason Hubble, Zwicky, de Broglie, Fermi and other famous scientists died without believing in the expansion of the universe is related to the carefully undisclosed part of the Hubble law, namely, that the cosmological redshift is the same for all galaxies having the same distance from Earth in all radial directions from Earth, thus implying a necessary return to the Middle Ages with Earth at the center of the Universe. Picture for the interviewer to explain the double distance of galaxies G1 and G2 from Earth and related double speed, while G1 and G2 have the same distance from the galaxy G and, therefore, the same speed, thus resulting in inconsistencies..
Q. What are the inconsistencies of the acceleration of the expansion? A. While quite debatable one century ago, the conjecture of the acceleration of the expansion has now passed all limits of human dignity, let alone scientific credibility because, with the advent of the Hubble telescope in orbit around Earth, we now detect new galaxies at the end of the known universe that must move at speed bigger than the speed of light as a condition to represent the Hubble law. We are talking of billions of galaxies accelerating faster than the speed of light, thus violating the very theory - special relativity - they intended to impose, thus reaching the climax of absurdity and self-contradictions. To understand the dimension of the physical absurdity, it is known by serious physicists that the Doppler law cannot be even formulated for speeds bigger than the speed of light, thus eliminating the very idea of redshift originating from motion away from us. There is a limit in imposing conjectures aimed at maintaining Einstein theories throughout the universe beyond which we lose our dignity, and enter into the realm of scientific manipulations generally perpetrated under large public financial support. Q. What are the inconsistencies of the big bang? (1) The big bang conjecture was proffered to attempt an "explanation" of the expansion of the universe and its acceleration. Hence, its basic consistency condition is that of being compatible with Hubble's law. The first consequence of the big bang is then the return to the Middle Ages with Earth at the center of the universe since, by definition of explosion according to the Webster Dictionary, an explosion must originate from a point. Which point? Earth of course since the expansion and its acceleration are radial from Earth. (2) Also by definition, the debris of the explosion (the galaxies in this case) are thrown far away in all directions. A second necessary condition for consistency of the big bang is then that Earth's galactic environment should be empty of any galaxy for the presumed time of the big bang, namely, for 13,7 "billion" light years from Earth. This necessary consequence of the big bang is disproved by the evidence that galaxies are uniformly distributed in the universe without such a large empty space. (3) Also according to the definition of explosion, the debris of the explosion (again galaxies in this case) slow down with the increase of the distance due to evident friction with intergalactic gases. But the big bang conjecture was proffered to represent the expansion of the universe and its acceleration. Hence, the big bang conjecture violates yet another consistency condition, namely, it was proffered to represent the expansion of the universe and its acceleration, while it may consistently represent a slow down of the expansion. (4) An "experimental evidence" of the big bang conjecture is the existence of a very week radiation existing in the universe, called Cosmic Background Radiation. When I was at Harvard University, a graduate student of mine proved in the early 1980s that, in view of its weakness, the Cosmic Background Radiation should have been completely absorbed by galaxies and intergalactic gases five billions years ago. Rather than an "experimental confirmation," the use of the Cosmic background Radiation as a backup of the big bang was yet an additional conjecture in top of several preceding conjectures all aimed at preserving Einstein's theories throughout the universe. In reality, a serious scientific study of the Cosmic Background Radiation requires the identification of a "continuous source of energy," rather than a burst of energy 13.7 billion years ago. When at Harvard University, I had irreconcilable disagreements with my physics colleagues there, Steve Weinberg, Shelly Glashow and the late Sidney Coleman on the big bang, but also on other topics not addressed in this interview, because notorious fanatics on Einstein who became some of the biggest supporters of the big bang conjecture. My irreconcilable disagreement was on ethical issues, since the inconsistencies of the big bang conjecture are evident to graduate students, while my Harvard colleagues completely ignored them and have continued to abuse their academic authority as well as taxpayers money for their own personal gains. Most unreassuring is their Aryan conception of science that has increased during the past three decades due to complicity via silence by the physics community at large and ensuing guaranteed impunity. Q, What are the inconsistencies of the conjecture that space itself is expanding? A. Again, we are dealing with yet another conjecture proffered to solve the inconsistencies of the preceding conjectures, while in reality it does not, thus confirming the obscurantism going on in cosmology. In essence, the return to the Middle Ages with Earth at the center of the universe implied by the expansion of the universe and its acceleration was known to experts in cosmology. Therefore, they proffered the far reaching conjecture that space itself is expanding precisely to avoid the shameful return to the Middle Ages. The argument is that. if the space itself in between galaxies is expanding, then Earth is no longer at the center of the universe. The scientific obscurantism here is due to the studious silence on fact that the conjecture of the expansion of space itself "does not" achieve the desired intent because, in the event the expansion of the universe had been "uniform," then, yes, the expansion of space itself would have avoided Earth at the center of the universe. However, the expansion accelerates in the same amount for the same distance in all radial directions from Earth. In this case Earth remains necessarily at the center of the universe even under the far fetched assumption that space itself is expanding. Q. What are the inconsistencies of the conjecture of dark matter? A. Again, we are dealing with yet another conjecture proffered to represent anomalous experimental evidence, while in reality it does not represent them. Its widespread acceptance without serious physical foundations is then the climax of the scientific obscurantism in cosmology, since we pass any credibility and enter into sheer scientific politics by organized interests on Einstein. The study of the light reaching us from peripheral stars of various galaxies resulted in being anomalous, for instance, because the redshift of peripheral stars is not compatible with the redshift of the entire galaxy. Rather than admitting the most plausible hypothesis, that special relativity is not valid within the gaseous medium inside a galaxy, special relativity was maintained via the proffering of yet another conjecture, namely, that galaxies are filled up with a mysterious and invisible substance called "dark matter." The climax of sheer scientific politics is easily established by the fact that, in no way, the additional conjecture of dark matter represents the anomalies of the redshift of peripheral galactic stars for the evident reason anybody can see that, since dark matter has to be uniformly distributed, it has no dynamical effect whatsoever on the motion of individual stars. To represent the anomaly of one given star. We have to place dark matter ad hoc in front or in the back of that star. But then the redshift of nearby stars is way off experimental data. Additionally, the conjecture of dark matter is in clear - well known but unspoken - violation of Newton and Einstein gravitation for the evident reason that matter originates gravitational attraction,. Therefore, in the event galaxies were filled up with this mysterious matter, the galaxies should "contract," in blatant disagreement with astrophysical evidence since galaxies tend to expand rather than contract. Hence, the climax of the scientific obscurantism is created by the fact that the conjecture of dark, matter is ultimately disproved by the very Einsteinian theories intended to be preserved! Q. What are the inconsistencies of the conjecture of Dark Energy? A. In view of the great successes of the preceding conjectures, despite their known inconsistencies, dark energy is yet another conjecture proffered to resolve preceding inconsistencies, while in reality it does not, thus requiring a number of yet additional far reaching conjecture, with the resulting scientific obscurantism in cosmology reaching hyperbolic dimensions. Since the conjecture of the expansion of the universe, plus the conjecture of the acceleration of the expansion, plus the conjecture of the big bang, plus the conjecture of the expansion of space itself, plus the conjecture of the dark matter suffered for known intrinsic inconsistencies, for the unspoken intent of maintaining the validity of special relativity throughout the universe, the yet additional conjecture of the dark energy was proffered for the spoken intent of "explaining" the expansion of the universe and its acceleration. The conjecture essentially assumes that the universe is filled up for 95% of its total energy with a mysterious, invisible and undetectable substance called dark energy. Rather than resolving the inconsistencies of the chain of preceding conjectures, the conjecture of dark energy blatantly violate Newton's and Einstein's gravitation because energy is the origin of gravitational attraction. Therefore, in the event the universe were filled up with any form of energy, the universe should "contract." But the universe is believed to be expanding and accelerating the expansion with the distance. Therefore, the conjecture of dark energy is blatantly in violation of the very Einsteinian theories intended to maintain, thus passing the boundary of decency and passing to a dark organized scientific obscurantism. Q. What are the inconsistencies of additional conjectures currently under consideration? A. Due to the failure to resolve the inconsistencies or the preceding chain of conjectures and in view of the great success achieved by the same despite their inconsistencies, the evident trend is that of keeping going with additional conjectures under the studious condition that they should not be verifiable with experiment on Earth so that they can be imposed via the abuse of academic credibility and the misuse of public money. Among a number of conjectures under consideration by organized interests on Einstein, I should mention the conjecture under consideration to "invert" the attractive character of Einstein gravitation. As indicated above, dark energy predicts the contraction and definitely not the expansion of the universe. Hence, rather than adapting the theory to physical evidence, there are a number of ultra far fetched conjectures under consideration to turn gravitational attraction into repulsion, such as the hyperbolic idea that dark energy is negative, while first year graduate students know from Paul Dirac tat negative energies violate causality and other physical laws. But then the unphysical character of negative dark energy is complemented by yet additional far fetched conjectures dreaming to achieve credibility, and so on and on. Yet an additional ultra far fetched conjecture under consideration is that of yet another mysterious, invisible and undetectable particle called the "neutralino." The argument is that, since dark matter is now admitted as being undetectable by its very supporters, then, again to maintain Einstein theories, dark matter is conceived as being composed of the hypothetical particles called neutralinos. There is a limit in this ongoing chain of inconsistent conjectures each one intended in support of preceding inconsistent conjecture, beyond which cosmologists have to admit for their own decency that the scientific obscurantism in cosmology moves from dim original shadows in the 1930s to serious problems of scientific ethics and accountability for the abuse of academic credibility and large public money. IV. EXPERIMENTAL EVIDENCE AGAINST THE EXPANSION OF THE UNIVERSE. Q. Prof. Santilli, what is the first evidence against the expansion of the universe? A. The evident is numerous. the first experimental evidence on the inconsistency of the Einstein-Doppler interpretation of Hubble�s law as due to galaxies moving away from us, was identified in the mid 1970s by my former colleague at Harvard University, Halton Arp, an experimental astrophysicist who discovered a series of quasars physically connected to a galaxy according to clear experimental evidence, yet their cosmological redshifts are dramatically different from each other, sometime in the ration 100 to 1. This evidence destroyed the credibility of the expansion of the universe for a serious understanding of the cosmological redshift because, under the validity of the Einstein-Doppler interpretation, the quasars and the associated galaxies should have separated billions of years ago and should now be traveling away from us at speeds in the same ratio 100 to 1. Q. Why then this evident was not accepted by the scientific community? A. regrettably, I cannot answer this question without the joint addressing the ongoing problems of scientific ethics and accountability. Picture for the interviewer to illustrate Arp's pair of a quasars physically connected to a galaxy, yet their cosmological redshifts are very different from each other, thus disproving the interpretation of the cosmological redshift via motion away from us. Q. What is your main conceptual evidence on the lack of expansion of the universe? A. It was sufficient for me to observe and admit in the early 1980s that a gas, such as our atmosphere, heats up when traversed by Sunlight. It is evident that the needed energy can only originate from light itself. But the energy of light is given by the Planck constant multiplied by the frequency. Therefore, I suspected that the loss of energy by light to our atmosphere implies a necessary shift of frequencies toward the red without any relative motion between Earth and the Sun. This evidence convinced me that Zwicky's hypothesis is correct because physical laws have to be the same for all media throughout the universe and intergalactic spaces are far from being empty since they are filled up of hydrogen, particles, cosmic rays, light and other constituents. In the same way as Sunlight loses energy to our gaseous atmosphere by experiencing a redshift without relative motion, the same must hold for galactic light losing energy to the intergalactic medium without a necessary relative motion between galaxies and Earth. Q. What has been your contribution over Zwicky hypothesis? A. Again, the observation and admission of the evidence in our atmosphere establishing the existence of two different light mechanisms. First, we do have the dispersal of some of Sunlight due to scattering in our atmosphere because scattering is the origin of the color of our atmosphere and, in the absence of scattering, our sky would be black day and night. However, in addition to seeing the color of our atmosphere, we also have a direct view of the Sun. Therefore, part of Sunlight penetrating in our atmosphere is dispersed due to scattering and some reaches us on a straight line, thus without any credible scattering. But in the transition from the Zenith to the horizon, Sunlight covers a substantially increased distance in our atmosphere and experiences a shift from yellow to red which is of about 100 nanometers. 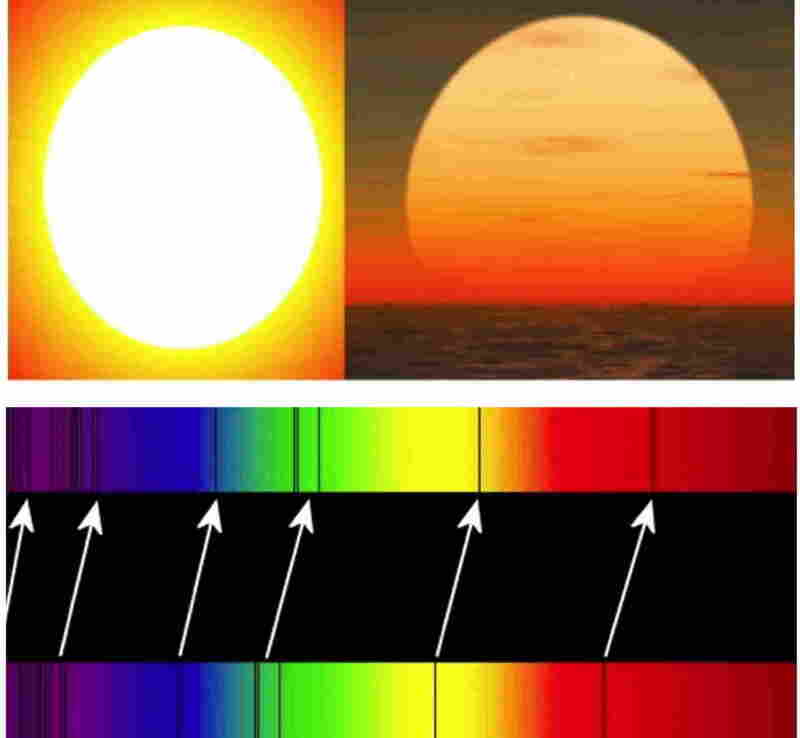 This visual evidence establishes that the frequency shift from yellow at the Zenith to red at the horizon occurs without any appreciable relative motion between Earth and the Sun, since the Sun goes down on the horizon at Sunset and not away from us. Since physical laws must be the same throughout the universe, particularly when referring to gaseous media, the above visual evidence on Earth establishes that some galactic light is indeed dispersed throughout the universe via scattering with intergalactic gases thus causing a decrease of the original luminosity of galaxies, but the residual part of the galactic light reaches us in a redshifted fashion without any need for a relative motion between Earth and the galaxies. Q. Yet, scattering is generally assumed as the origin of the redness of the Sun at Sunset. A. Yes, but this is a typical double-standard of the current scientific obscurantism. Scattering is rejected as the origin of the cosmological redshift to maintain Einstein;s theories via the Doppler interpretation since we will never be able to test it on Earth the expansion of the universe. By contrast, scattering is accepted as the origin of the redness of the Sun at Sunset for exactly the same aim, maintain Einstein's theories, this time, in our atmosphere since the lack of relative motion between Earth and Sun at Sunset is evident to all and, therefore, equivocal physicists cannot venture for our Sun the cosmological conjecture of relative motion. Again, physical laws have to be the same throughout the universe. The two events, the redness of "direct" - not scattered - galactic light and the redness of "direct" - not scattered - Sunlight at Sunset are physically the same, since in both cases light propagates within a medium. As indicated earlier, unethical physicists cannot even consider - let alone accept - the loss of energy by Sunlight because it constitutes a brutal violation of Einstein's special relativity and, therefore, they retort to manipulations for adapting evidence to a preferred theory. Another double-standard occurs for the intensity or luminosity of light. For the case of galactic light we have one century of measurements of "two" quantities, the frequency and the intensity, both of them being necessary, as well known, since the decrease of the intensity does not necessarily imply a frequency shift. When passing to the atmosphere, it is generally assumed that the sole use of the intensity, for instance according to the Rayleigh scattering, is sufficient to represent everything, that is, to represent the color of the atmosphere and of the Sun at sunset. However, as it is the case for galactic light, the variations of the intensity and of the frequency of Sunlight have different physical origins, since the former is known to be due to scattering while the latter occurs according to a different process, as established by our decades of research. In any case, the obscurantism is sealed by the fact that wavelength - or frequency - analyzers have been developed to measure the wavelength - or the frequency - in a way completely independent from the intensity as established by the fact that the wavelength - or the frequency - is measured with the dimmest possible light. Therefore, using the intensity of Sunlight to represent the variation of its frequency with the travel in atmosphere is an obscurantism because based on the dismissal of known evidence, blatant double-standard with astrophysical laws, and other reasons. Q. Yet another widely accepted view is that the redness of the Sun at the horizon is due to absorption of blue light. A. At this point, the obscurantism becomes serious when this view is proffered by qualified physicists because it is well known that red light is quickly absorbed by media, and that blue light is the most penetrant light. The physical law well known to experts is that absorption is proportional to the wavelength. This physical law is verified, for instance, by the evidence that at the depth of 20 meter under seawater only the blue light survives. Yet unethical physicists ignore this evidence to maintain Einstein's theories. The wavelength of red light is about 100 times bigger than that of blue light. hence, red light is absorbed 100 times more than blue light. This is the very reason the sky is blue when the Sun is at the Zenith. By remembering that red light is absorbed for the relatively short trajectory of Sun at Zenith, venturing the idea that absorption of blue light is the origin of the redness of the Sun at the horizon is sheer scientific corruption when proffered by experts because such a farfetched view is essentially aimed at a scientific manipulation - adapting physical reality to a preferred theory - while banking on the expectation of ignorance by others. Q. Can you outline your research in the problem? A. My research required three decades of intense work because conventional 20th century mathematics turned out to be insufficient for the study of the redshift of direct Sunlight traveling in our atmosphere without relative motion. When I was at the Department of Mathematics of Harvard University in the early 1980s under DOE support, I had to work out a new mathematics, today known as Santilli isotopic mathematics, or isomathematics for short, where the word "isotopic" stands to indicate the preservation of 20th century axioms and their broader realization. This first phase of studies required about fifteen years of purely mathematical research to achieve the maturity necessary for applications. The second phase of research dealt with the application of isomathematics for the quantitative representation of the redshift of light without relative motion. I called this effect "IsoRedShift" to emphasize that its derivation necessarily requires the new isomathematics, since with conventional 20th century mathematics, such as Lie algebras, etc., you can only derive the Doppler shift requiring relative motion. Finally, after about twenty five years of preparatory research, I was able in 2008 to initiate systematic experimental measurements that lasted for five years. These thirty years of research produced post Ph. D. monographs and numerous of papers published in refereed journal mostly available in free pdf download from the website of the Santilli Foundation. 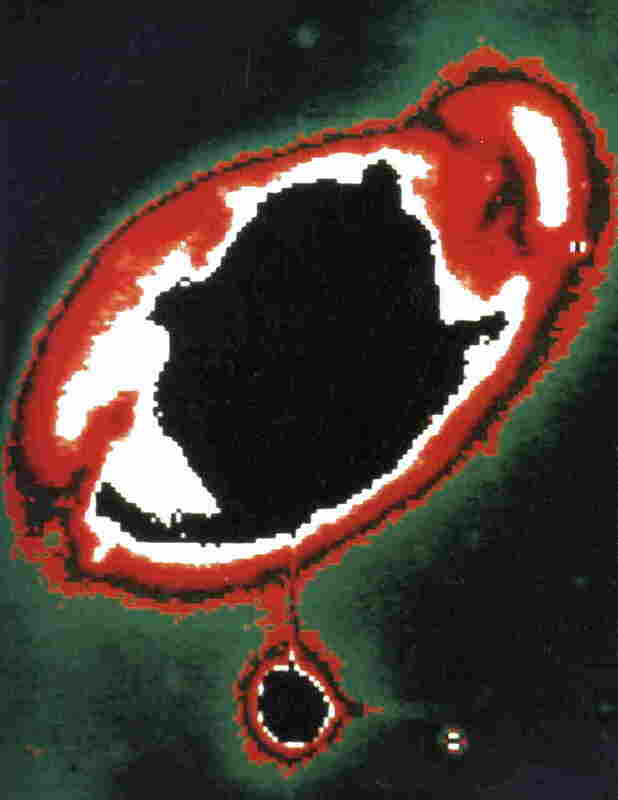 I formulated the hypothesis of the IsoRedShift in two monographs published in 1991. Picture for the interviewer to illustrate Prof. Santilli's station to test the IsoRedShift of laser light as described in the interview. Q. Please describe the experiments you conducted for the IsoRedShift. A. I first established experimentally the existence of the IsoRedShift for individual frequencies of light, by initiating with monochromatic blue laser light. 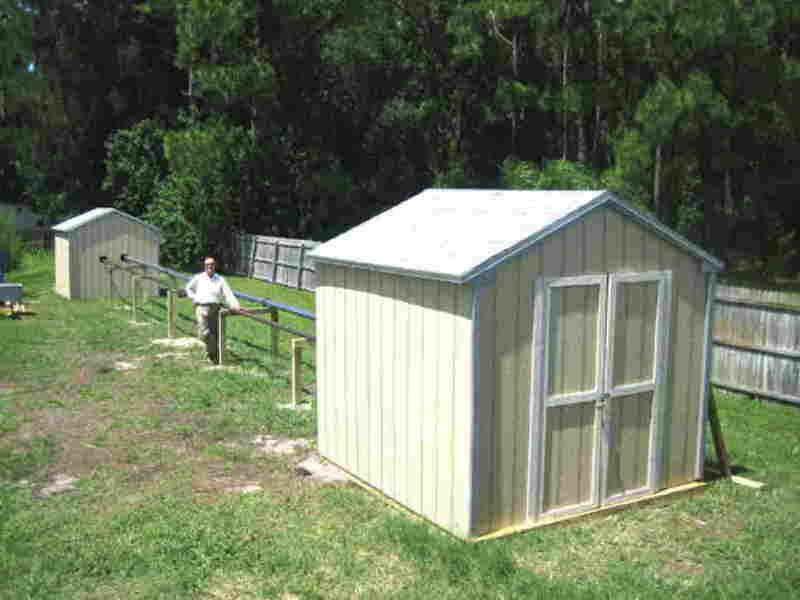 For this purpose, I constructed the IsoRedShift Testing Stations comprising two air conditioned cabin interconnected by a 20 meters long steel tube, the first cabin containing tube laser and the second containing the wavelength analyzer. I then simply measured systematically the wavelength of the laser light passing through the tube first with a vacuum and then with the tube filled up with air at about 90 atmospheres. 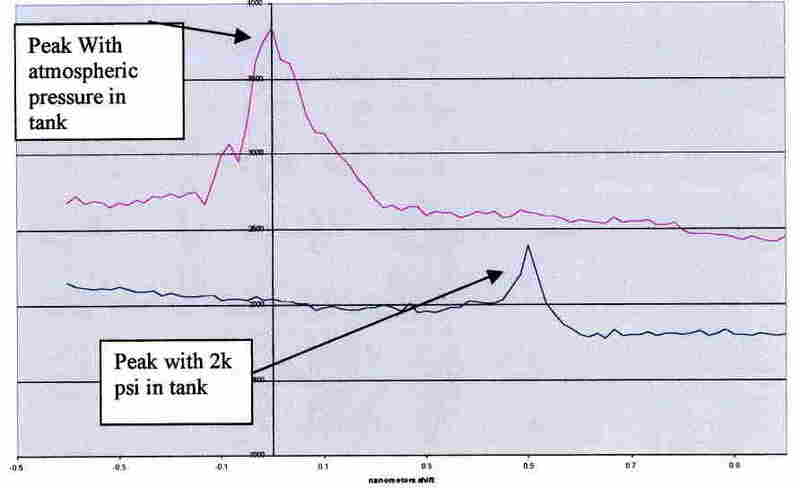 The measurements were repeated over one year and established the existence beyond credible doubts that the monochromatic frequency of the laser light does indeed shift toward the red for the tube at pressure without any relative motion whatsoever between the laser source and the analyzer, under the sole condition for the air has to be below 20 degrees C for certain technical reasons. I published the measurements of the IsoredShift of laser light in the 2010 volume of the Open Astronomy Journal. Picture for the interviewer to illustrate Prof. Santilli's first measurements of the IsoRedShift of a blue laser light in the above depicted testing Station. After establishing the existence of the IsoRedShift for individual frequencies, I passed to systematic measurements of the IsoRedShift of the entire spectrum, of Sunlight in the transition from the Zenith to the horizon. 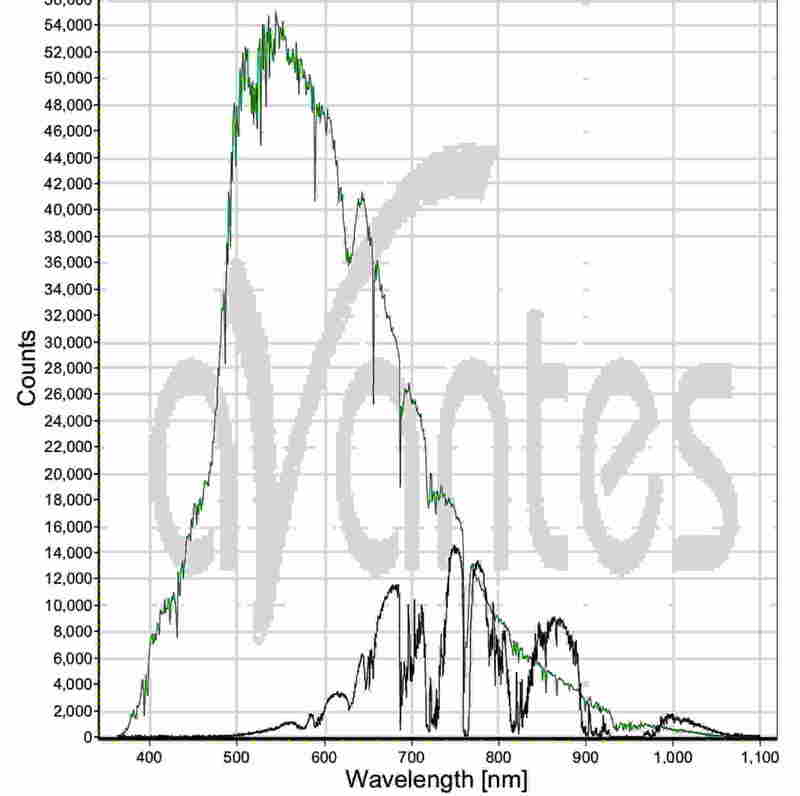 For this I secured the best available wavelength analyzers capable of detecting the entire Sunlight spectrum, such as manufactured by Yokogawa from Japan and Avantes from Belgium. I then passed to measure the spectrum of Sunlight with a telescope, first separating direct Sunlight from light scattered from our atmosphere, and then following Sunlight from the Zenith to the horizon. in this way I established that indeed we have an IsoRedShift, namely a shift of the entire spectrum of Sunlight from yellow at the Zenith to red at the horizon for about 100 nanometer without any relative motion between earth and the Sun. 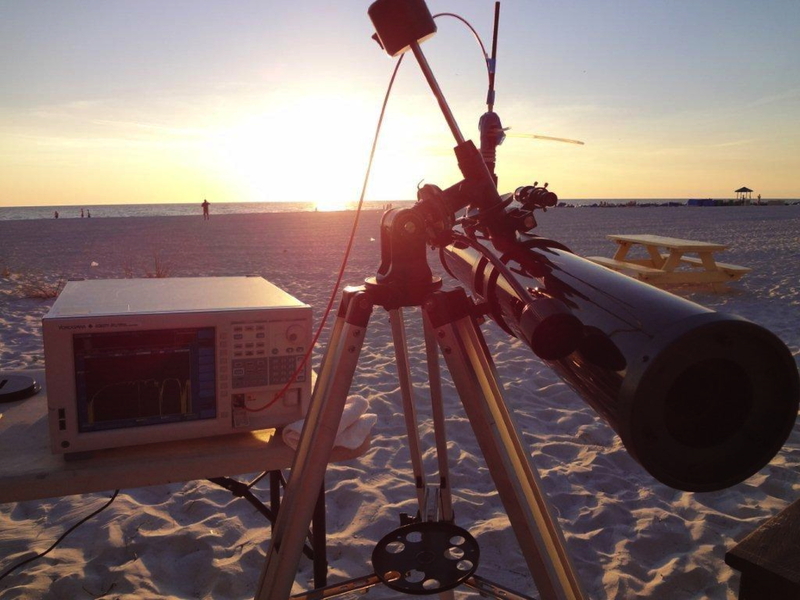 Picture for the interviewer to illustrate the telescope used by Prof. Santilli's for the sole detection of direct Sunlight, here shown at Sunset. I published the measurements on the IsoRedShift of the Sun in a 2011 refereed journal. Subsequently, the measurements were confirmed by an international collaboration of independent scientists without my participation that repeated the measurements at Sunset and Sunrise as well as in the USA and in Europe by always achieving the same results. Picture for the interviewer to illustrate Prof. Santilli's first measurements of the IsoRedShift of the entire spectrum of Sunlight from the Zenith (large scan) to the horizon (small scan shifted to the right). Q. What is the new mechanism causing the IsoRedShift?
. A. As indicated earlier, prior to my research, the only know the only known processes of light within media were of molecular type, that is, processes involving the entire molecules of a gas, such as the oxygen or nitrogen molecule. These processes are of two type, the first is the scattering of light in all directions, and the second is absorption. My studies have established the existence of a new mechanics occurring at the level of individual atoms. In essence, we have light hitting an individual atom assumed to be at low temperature, as it is the case for the upper layers of our atmosphere or intergalactic gases. In this case, atoms are in their ground state, namely, the atomic electrons occupy the lowest possible orbits. Our studies have established that the electrons cannot remain in their ground state when hit by light, but they become excited, thus jumping into higher atomic orbits, which can only occur if the needed energy is provided by light. Therefore, light propagating within a gas at low temperature loses energy to individual atoms that are in this way excited. If the gas is at high temperature, which means that the electrons occupy higher orbits, then they release energy when hit by light that in this case experiences an IsoBlueShift., namely, a shift toward the blue we are not considering in this interview for lack of time. Picture for the interviewer to illustrate the mechanism of Prof. Santilli's according to which light excites the electron of a hydrogen atom by therefore losing energy (from right to left) or, vice versa, excited atoms may give energy to light (from left to right). Q. What happens to the excited atoms, since they cannot remain excited for ever? A. The energy acquired by the atoms of intergalactic media is indeed released as a form of radiation that,. according to clear calculations, can only be faint, thus providing the continuous energy source needed for the Cosmic Background Radiation. Q. How do these measurements on Earth apply to cosmology? A. As indicated earlier, intergalactic spaces in the universe are far from being empty, since they are filled up with hydrogen at very low temperature, as well as dust and radiations, etc. Also, the redshift of the Sun at the horizon is the same as those of galactic light in the sense that both of them refer to the shift toward the red of the entire spectrum of light. Finally, a pillar of physics is that physical laws have to be the same throughout the universe. Therefore, the loss of energy by light to our atmosphere without relative motion established via experiments on Earth must necessarily occur also for galactic light traveling through intergalactic medium, that is, light reaching us from far away galaxies must lose energy to the intergalactic medium partly via ordinary scattering that dims the intensity, and part via the IsoRedShift that shifts all frequencies toward the red without any need for galaxies moving away from us. The sole physical difference is given by the fact that the density of air is much bigger than the density of intergalactic gases. However, the distance traveled by galactic light is immensely bigger than that of Sunlight in our atmosphere. As a result, the redshift of galactic light is essentially the same as that of the Sun at the horizon, both cases occurring without any relative motions, thus eliminating the expansion of the universe, the acceleration of the expansion, the big bang and all other far-reaching, intrinsically inconsistent cosmological conjectures. Q. Does this means that, in your view, galaxies do not move at all? A. No by no means because we have observed galaxies colliding and similar evidence showing motion of galaxies. The IsoRedShift mainly eliminates motion as the "primary" source of the observed large redshifts of galactic light to resolve the truly indecent inconsistencies of the current chain of cosmological conjectures indicated earleir. Also, Isomathematics predicts a combination of conventional Einstein-Doppler shift due to motion and the IsoRedShift due to loss of energy by light to intergalactic media. The problem is that, due to our Lilliputian knowledge of the universe, I believe it will take centuries to achieve a numerical identification of the Einstein-Doppler contribution and that from, the IsoRedShift. As an illustration, it is true that there is no appreciable motion between Earth and the Sun at Sunset. However, Earth rotates with a speed of about 1,200 km per hour in the tangential direction away from the Sun which is expected to produce a conventional redshift which must produce a conventional Einstein-Doppler redshift. However, easy calculations show that such a contribution is of 1/1,000,000,000 nanometers, thus being ignorable with respect to the dominant contribution by the IsoRedShift. Q. In summary, what is the Doppler-Santilli law I have seen in the literature? A. Is the covering of the Doppler's law permitted by isomathematics describing four different frequency shifts of light, two given by motion of the light source away and toward the observer, and the other two are given by the IsoRedShift or the IsoBlueShift depending on the temperature of the medium in which light propagates. Q. What is the Zwicky-Santilli effect I have also seen quoted in the literature? A. The idea that galactic light loses energy to intergalactic media during its long travel to Earth is not mine, because first formulated by Zwicky in 1929. I have experimentally confirmed this occurrence and, in addition, identified the atomic origin of the mechanism, since the mechanism originally proposed by Zwicky, that due to scattering, was proved to be wrong. Hence, the term "Zwicky-Santilli effect" is the correct definition of galactic light losing energy to individual atoms, rather than molecules, of intergalactic media without any need for the motion of galaxies away from us being the dominant origin of the redshift. V. SCIENTIFIC IMPLICATIONS OF SANTILLI'S ISOREDSHIFT. Q. Prof. Santilli, what is the most important implication of the IsoRedShift? A. The isoRedShift constitutes incontrovertible experimental evidence that Einstein's special relativity is not valid within our atmosphere, within intergalactic media or within any physical medium at large. In cosmology, this implies the termination of the dominance of Einstein's special relativity for the large scale structure of the universe, with the understanding that special relativity remains valid in empty space. For the rest of physics, the IsoRedShift implies the inapplicability of special relativity whenever we have interior dynamical problems, that is, extended particles and electromagnetic waves propagating within physical media. <Q. Is there any additional experimental evidence that special relativity is inapplicable within physical media? A. Quite several, although all evidence is carefully ignored by organized interests on Einstein. The evidence is reviewed in details in Volume IV of my series Hadronic Mathematics, Mechanics and Chemistry available in free pdf download. The most important experimental evidence is the inapplicability of special relativity within the hyperdense regions in the interior of protons and neutrons, nuclei and stars. I. Blochintsev suggested first this inapplicability back in 1964 due to inevitable nonlinear, nonlocal and non-potential effects in the interior of particles, and recommended a number of experiments. One was finally done in 1983 by a team headed by S. H. Aronson confirming the expected violation from 0 to 100 GeV. Counter-measurements were immediately commissioned and conducted in 19887 by a team headed by N. Grossman, who claimed the regaining of s[special relativity in the interior of particles, but only from 100 to 400 GeV. Hence, the violation from 0 to 100 GeV remains to this day. Besides that, the paper by Grossman et al was clearly manipulated because, as shown by Yu. Arestov et al, the slightest change of parameters, form factor, etc. yield violations of special relativity by Grossman et al even for 100 to 400 GeV. Additional violation have been identified in ritually all experimental data in strongly interacting particles, "provided" that the data are not elaborated via a formalism not centrally based on the assumption of the validity of special relativity, as usually done for political reasons, evidently because in the latter case the data elaborations merely confirm the assumption. Note that this experimental evidence is needed to dismiss the manipulation of physical reality by organized interests on Einstein because, as indicated earlier, there is no serious possibility of even defining special relativity within some of the densest media measured by mankind in laboratory until now, such as the media in the interior of protons, neutrons and other particles. Q. What happens to Einstein's general relativity in cosmology? A. The use in the large scale structure of the universe of Einstein's conception of gravitation via curvature of space is perhaps the most distressing episode of contemporary science because of the dishonesty of its supporters, on one side, and the gullibility of the physics populous, on the other. Galaxies are at mutual distances of millions of light year, that is, at such an enormous distance for which the gravitational attraction is absolutely zero. The proffering by experts that Einstein gravitation applies under these conditions and the claiming that the universe is curved at its large scale structure, is truly vulgar scientific corruption. It is astonishing how gullible physicists can accept and propagate such political manipulation of science, just because proffered by big professors, without any visible critical examination. (1) Einstein made the first historical mistake of ignoring the universality of Newton's gravitation that, as such, also attracts light. Consequently, the famous bending of light assumed as "evidence" of the curvature of space by organized interests on Einstein, in reality, has been entirely represented via Newtonian gravitation without any curvature at all, which curvature in any case cannot represent the free fall of bodies of along a "straight" radial line, the actual very complex trajectories of planets orbiting around the Sun, and numerous other basic events structurally incompatible with the conjecture of curvature of space, while being all perfectly represented by Newtonian gravitation..
(2) Einstein made the second historical mistake of ignoring the electromagnetic origin of all masses, which origin requires a large source in the right hand side of his gravitational equations, as it is evident for the electron, the positronium - a bound state of an electron and a positron - and all masses including macroscopic neutral masses. Under the inclusion of the electromagnetic origin of masses requested by quantum electrodynamics, all main claims of general relativity are gone, including the celebrated equivalence principle, the theory of black holes - in favor of the more realistic Newtoinian "brown holes", and otehr conjectures,because all based on solutions without source for neutral gravitational bodies. (3) Einstein made the third historical mistake of ignoring the beautiful "invariance" of special relativity in favor of the notorious "covariance." As a consequence, special relativity is a serious theory in empty space because it predicts the same numerical values under the same conditions at different times, while general relativity cannot by the very definition of covariance. Additionally, Einstein gravitational equations are highly nonlinear, thus admitting a variety of linearizations necessary for actual solutions with dramatically different results. It then follows that the so-called "experimental verifications" of Einstein's general relativity are a pure scientific concoction deprived of a serious physics content I can accept as such. The literature published in refereed journals on the catastrophic inconsistencies of Einstein's gravitation is quite large, although studiously ignored by organized interests on Einstein gravitation. I would gladly send representative papers to interested colleagues, in case they show to be serious in science, rather than in political concoctions. Q. Are there other sciences afflicted by an ongoing obscurantism? A. My God! all of them due to the lack of the shadow of scientific democracy in the United States of America today. I mentioned earlier the situation in gravitation which is so as to be qualified as shameful, rather than obscurantistic. Another obscurantism I should mention is that afflicting the structure of particles such as protons and neutrons, because such an obscurantism has dismal implications for for our need of new clean energies. Quantum mechanics can only represents particles as dimensionless points due to limitations of its very mathematical structure. That was fine for organized interest on Einstein up to the second half of the 20th century when evidence started to appear on the fact that particles generally are composite. The problem that emerged was how to impose Einstein's special relativity for the extremely small and extremely dense regions in the interior of particles. Since organized interests on Einstein had seen such a success in cosmology via unverifiable cosmological conjectures, they used the same scheme, that is, they organized a work wide support for the conjecture that the hypothetical quarks are the constituents of protons and neutrons, and, here is the scheme again, under the basic assumption that quarks cannot be directly detected, so that they be imposed via the abuse of academic credibility. Such an a conjecture then requested the additional conjecture that quarks are permanently confided inside particles, and requested yet additional conjectures in support of preceding unverifiable and inconsistent conjecture, in exactly the same way as it was orchestrated, implemented and maintained in cosmology for about one century. Yet you do not need a Ph. D. in physics to uncover the scheme. The neutron is synthesized in the core of stars from a proton and an electron and it is claimed as being composed of three hypothetical quarks under their hypothetical confinement, etc. But the neutron is naturally unstable and decays by reproducing the original proton and the electron plus the hypothetical neutrino. Hence, organized interests on Einstein claim that at the time of the synthesis of the neutron inside a star the permanently stable proton and electron "disappear", sic!, to be replaced by the hypothetical quarks and, when the neutron decays, the quarks "disappear" and the proton and electron "reappear" because needed to maintain Einstein's theories. The dismal imp0locations for society is that the quark conjecture is now dominant and, as such, it prevents via disqualifications the study of new clean energies that would be otherwise possible. For instance, the assumption via a covering theory that the neutron is a generalization bound state of a proton and electron would allow the study of the possible stimulated decay odd the neutron that releases about lone millions electron volts of energy via the easily trapped electron, thus having a clean energy without harmful radiations. You can identify the scheme also from the presentation by the very members of organized interests on Einstein, such as Leon Lederman. When he was the director of FERMILAB, Lederman announced in the early 1990s the "discovery" of the "point-like" top quark. In so doing, Lederman perpetrated two scientific manipulations in one single statement. First of all, quarks are not detectable by their very assumption and, therefore, they cannot be discovered by definition. What Lederman should have announced was the detection of events that "might" be due to the hypothetical assumption of the top quark, and additionally say that the same events are also predicted by completely different models. The second scientific manipulation is very insidious because it appears innocuous while being lethal for science. Lederman's claimed that the top quark is point-like. This is crucial for the entertainment of special relativity inside particles. However, the scheme is easily unmasked because, as Lederman knows very well, even assuming that quarks have a point-like charge, "there exists no point-like wavepackets in nature." The moment you admit a wavepackets for quarks, protons and neutrons are no longer made up of ideal isolated nice points, but they are a hyperdense media generated by the total mutual immersion of the wavepackets of the constituents, within which even the definition of Einstein's theories is impossible. Q. Back to the IsoRedShift, what are its implications at large? A. All 20th century studies dealing with interior dynamical problems need revisions. This includes revisions of 20th century interior dynamical problems in classical mechanics, engineering, particle physics, chemistry, superconductivity, biology, astrophysics and cosmology. Q. Can you indicate implications in particle physics? A. The IsoRedShift voids of final character virtually all experimental claims made at CERN with the consequential misuse of trillions of public funds. Q. Please elaborate on this important aspect. A. All "experimental results" are proffered at CERN via the elaboration of experimental data in terms of the "relativistic scattering theory," namely., a theory crucially dependent on the validity of Einstein's special relativity within the ultra hyperdense scattering region, namely, the region where very high energy protons collide with a target. I have indicated earlier that the assumption of special relativity within such hyperdense regions has been known for decades to be a scientific manipulation and so are the claims of "experimental results" c at CERN. This is just the beginning of the very serious ethical problems at CERN. The next problems are created by the fact that the discovery of a "Higgs-like particle" is claimed on grounds of extremely few events over trillions of events. Anybody who does not see the scientific manipulation in such "results" following the investment of trillions of dollars at CERN, either is an accomplice or has problems. Yet additionally, Einstein special relativity was built under the condition of being reversible over time because the systems to be represented, such as the atoms, are reversible over time. Now, during the acceleration phase of protons in the particle accelerators, special relativity works well because we have the conditions originally set by Einstein, and the acceleration is reversible over time without violations of physical laws. However, at the moment of the impact of the protons with the target we have the production of a large number of particles according to a strictly irreversible process. The claim that the reversible special relativity is exactly valid for the highly irreversible scattering events is scientific corruption due to inconsistency theorems published in refereed journals. At any rate, the sole admission of the irreversibility of the high energy scattering events at CERN is sufficient, independently from the preceding inconsistencies, to void any physical meaning on CERN'S claims of "God's particle" as they call the conjectured Higgs boson since irreversible contributions are known to destroy the entire theory. If we have time, we can discuss similar manipulations at CERN for the dismissal of the 2011announcement of superluminal neutrinos via claims that the detected neutrinos are subluminal on grounds of certain insufficiencies of the detectors. The scientific manipulation is soon unmasked by the fact that the same insufficient detectors claimed for superluminal neutrinos apply identically to the subluminal claims. The climax of the scheme is reached if one meditate a moment on the fact that the subluminal speeds are proffered evidently to maintain Einstein's theories, but for neutrino traveling underground. Therefore, organized interests on Einstein at CERN have reached the audacity due to guarantee impunity for whatever they do of claiming the validity of special relativity underground ! ! ! namely within rocks where light cannot even propagate, thus reaching the climax of political machinations of science simply beyond imagination. Picture for the interviewer to illustrate the irreversibility over time of the collision of protons on a target with consequential inapplicability of Einstein's special relativity due to its strict reversibility over time and invalidation of experimental claims at CERN. I could go on and on on problems of scientific ethics and accountability at CERN. I am firm convinced that CERN is creating a scientific obscurantism for the benefits of organized interests on Einstein that will last for centuries under the abuse of trillions of taxpayers money due to the complete suppression of even the shadow of scientific democracy, and the totalitarian control of science. The only suggestion I have is that the governments granting trillions of dollars to CERN should make future payments dependent on CERN setting up an ethics committee for the review of all operations at CERN with authority to terminate members of organized interests on Einstein. he same ethics committees should be set by the U. S. Italian, French, British and other physical and chemical societies where the manipulations of science for personal gains is beyond imagination. Q. Is there a new industry originating from the IsoRedShift? A. Yes, the IsoRedShift signals the birth of a new industry dealing with the control of the characteristics of light, including the frequency, but also the speed and other characteristics. This new industry is inconceivable under Einsteinian theories because, as indicated earlier, the speed of light is the fundamental invariant of special relativity under which no change whatsoever of the characteristics of light is possible. Q. Are there related new industries? A. Yes, several new industries have seen the light thanks to the new mathematical, physical and chemical theories for interior dynamical conditions, such as: the new chemical species of magnecules developed by the U.S. publicly listed company Magnegas Corporation; the new intermediate nuclear fusions without radiations under development by the other U. S. publicly listed company Thunder Fusions Corporation; the stimulated decay of radioactive waste afflicting our planet, and other new industries simply inconceivable under the dominance of Einsteinian theories. Q. Is there any application in medicine? A. Yes, I am told that two biophysicists are studying the possibility of surgical interventions in the human body without cutting the skin. The idea is to have two coherent laser beams penetrating the human skin without damage and then converging at an internal point, such as a tumor. The control of the frequency of the two originally coherent beams is expected to crease resonating, thus disruptive conditions at the point of intersection of the two beams. thus destroying or damaging the tumor without damage to the skin. Q. Are there possibilities today considered science fiction? A. Yes. Science has always surpassed science fiction, and this will be the case too when the control of science by organized interests on Einstein is contained and we are free to pursue our scientific dreams without being accused of being "crackpots," "outcasts," "fringe scientists," "anti-Semitic," and the like Wikipedia has repeatedly used to discredit my research, as well as that of my associates. Among a number of advances beyond the science fiction of today, I can mention: the efforts already under way in various countries on superluminal communications, that is, communications faster then the speed of light that are theoretically possible via longitudinal impulses propagating in the ether as a universal substratum; the fully causal isogeometric propulsion in space and time permitting arbitrary speeds and trajectories and sharp angles or instantaneous accelerations without the usual fuel tanks but by extracting energy from the universal substratum and therefore modifying the local geometry; and other possibilities beyond the science fiction of today that should be freely investigated, rather than discredited, in a democratic scientific environment.